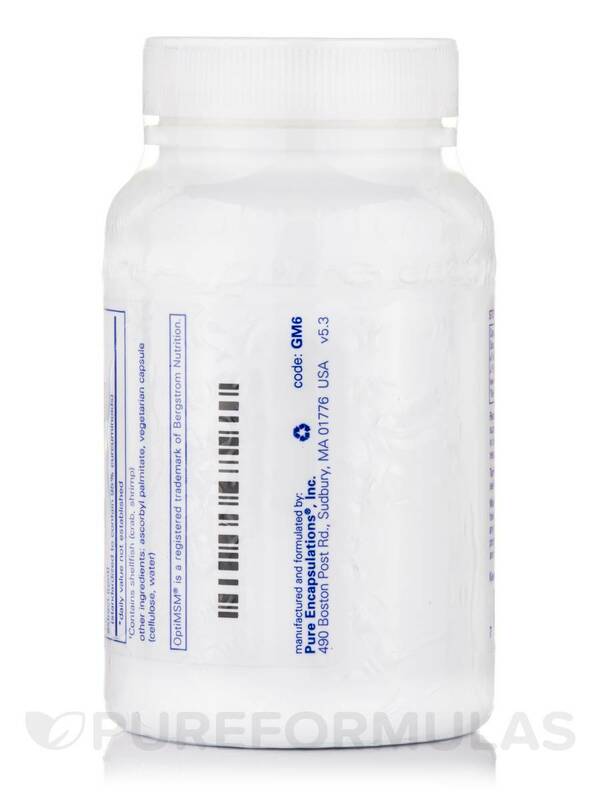 I ordered Glucosamine MSM for joint relief and have used it for over a year now. It works! 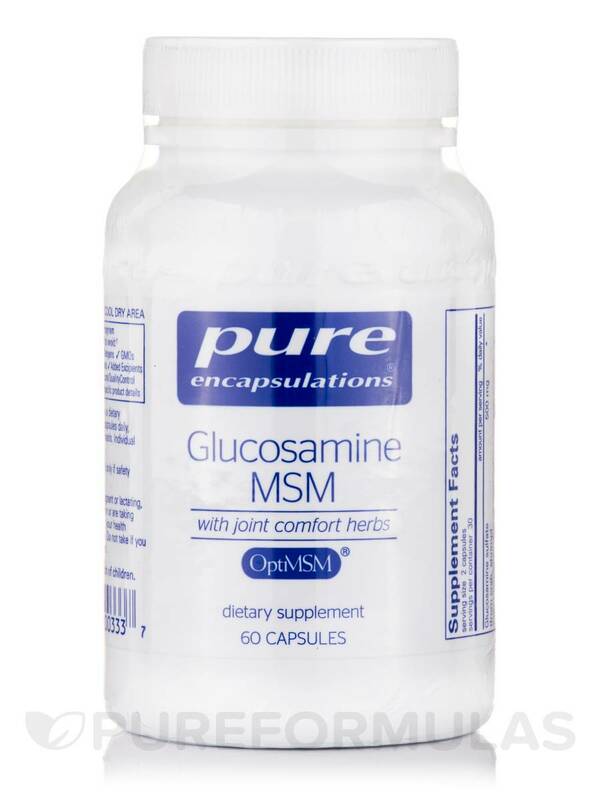 Glucosamine/MSM with Joint Comfort Herbs by Pure Encapsulations may work to maintain healthy joint and connective tissue function in several ways. 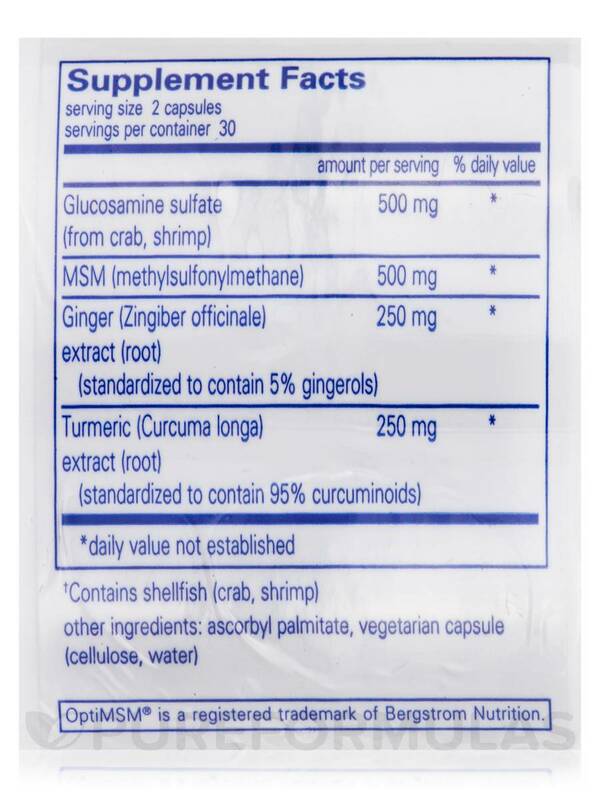 Each capsule of Glucosamine/MSM with Joint Comfort Herbs supplies 500 milligrams of shellfish-derived glucosamine sulfate. 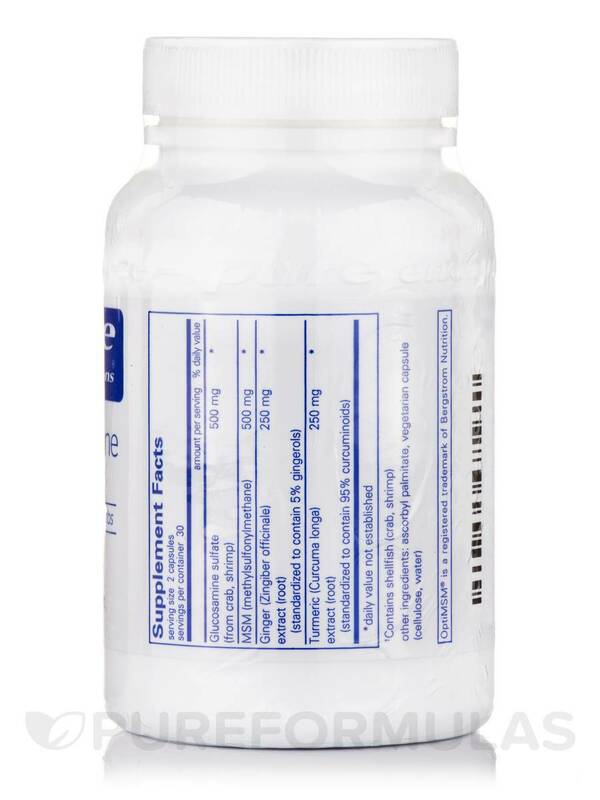 Glucosamine is a natural substance that participates in building cartilage; cartilage is a tough‚ flexible form of connective tissue that can serve as a form of cushioning for your joints. As a result‚ this joint support supplement may help address symptoms of mild pain or stiffness. Meanwhile‚ the 500 milligrams of MSM (methylsulfonylmethane) in Glucosamine/MSM with Joint Comfort Herbs may act to potentially alleviate certain symptoms of discomfort in areas such as the knees. Ginger and turmeric are herbal extracts that complete this formula; turmeric provides curcumin‚ a compound that may work to offer further relief from symptoms associated with minor inflammation. Take two to six capsules daily with meals. 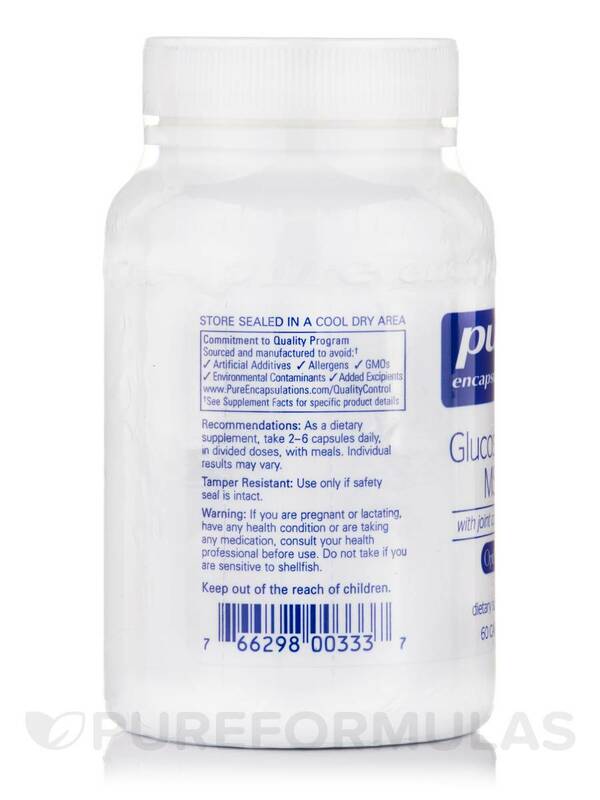 At the recommended dosage‚ every 60-capsule bottle of Pure Encapsulations' Glucosamine/MSM with Joint Comfort Herbs should last from 10 days to roughly one month. 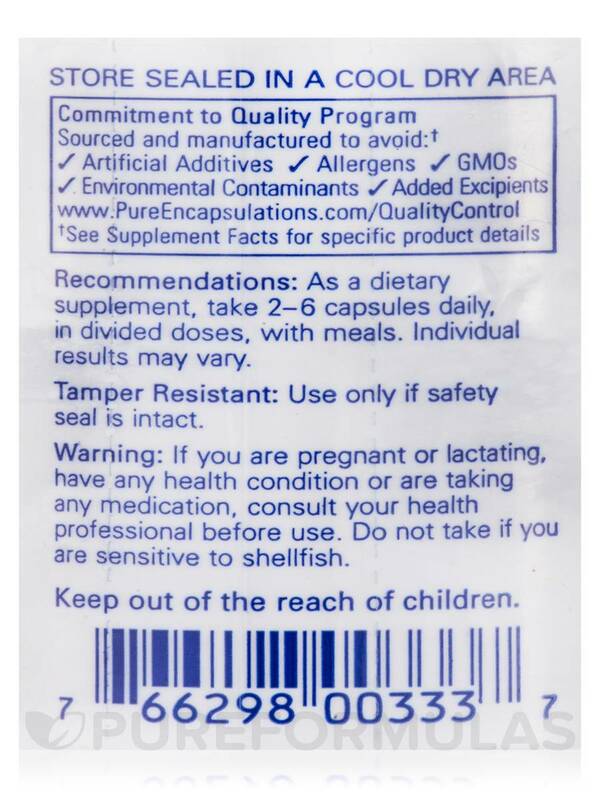 As a dietary supplement‚ take 2-6 capsules daily‚ in divided doses‚ with meals.